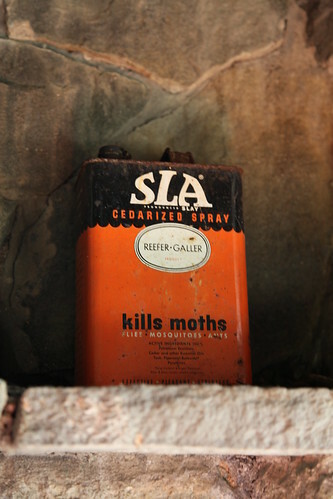 On the mantle of the fire place was this can of SLA Cedarized Spray, which advertised its ability to "Kill moths, flies, mosquitoes, and ants." Interesting the SLA brand is still around, although the manufacturer, Reefer Galler, appears to have gone out of business some time around the 1970s. This container design apparently dates to the 1930s or 1940s.